Axalta, a leading global supplier of liquid and powder coatings, today issued its Sustainability Report 2016-2017, highlighting the company's advancements in sustainable business practices, including technology and operations. Axalta's Sustainability Report was prepared using the Global Reporting Initiative (GRI) Sustainability Reporting Standards, the most widely adopted global standards for public sustainability reporting. "Axalta's dedication to sustainability and corporate responsibility is fundamental to our culture and ensures we conduct our business in a socially responsible manner along our entire value chain, from the materials we buy and process to the ways our products are used, and by supporting the communities in which we live and work," said Axalta Chairman and Chief Executive Officer Charlie Shaver. "As we've progressed along our sustainability journey, we recognized the efficacy of setting goals to further drive our performance. The goals we have outlined for ourselves fully leverage and integrate our new sustainability initiatives across the company, while also recognizing opportunities for improvement," he added. In the two-year period covered by the report, Axalta has taken a deliberate approach to sustainable business practices and addressed sustainability goals and governance by forming a new Environment, Health, Safety and Sustainability Committee of the Board of Directors in 2017, while continuing the Axalta Sustainability Council, which sets the company's sustainability strategy, goals, programs and public reporting. Following a sustainability materiality assessment, the Sustainability Council developed goals to guide Axalta's business and sustainability performance in the coming years. Between 2016 and 2017, Axalta introduced additional programs to enhance social initiatives that affect employees, suppliers and our communities and continued to reduce its environmental footprint. Despite the company's significant growth through acquisitions over the past several years, Axalta's energy use, waste generation and emissions from operations have remained constant or even decreased. Axalta received more than a dozen awards from customers, industry organizations and others that recognize our sustainability-related accomplishments and products that offer sustainability benefits to customers. Technology and research and development are at the core of Axalta's mission, building upon the company's more than 150 years of experience developing durable products that protect, increase productivity and offer beautiful color across a wide range of products and services provided. Axalta's innovative coatings improve customers' performance and efficiency, both when applying coatings and by protecting the coated materials so they last longer, reducing the demand on natural resources. 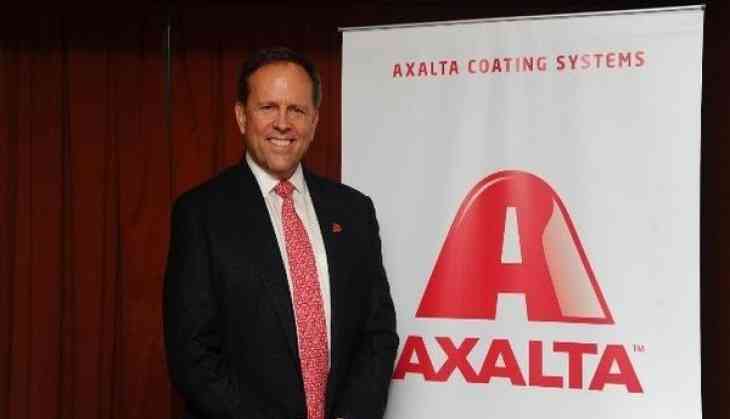 The report highlights Axalta products that contribute to customers' sustainability goals, such as coatings for lighter weight cars that consume less fuel and emit less carbon dioxide, products that prevent corrosion and conserve natural resources, and other products that support the enhanced performance of electric vehicles. Axalta reports investment in expanding R&D capabilities, including a Global Innovation Center located at The Navy Yard in Philadelphia, three Regional Technology Centers and individual country laboratories across the globe. These facilities help create innovative coatings answering the industry's growing demand for coatings suitable for advancing technologies.